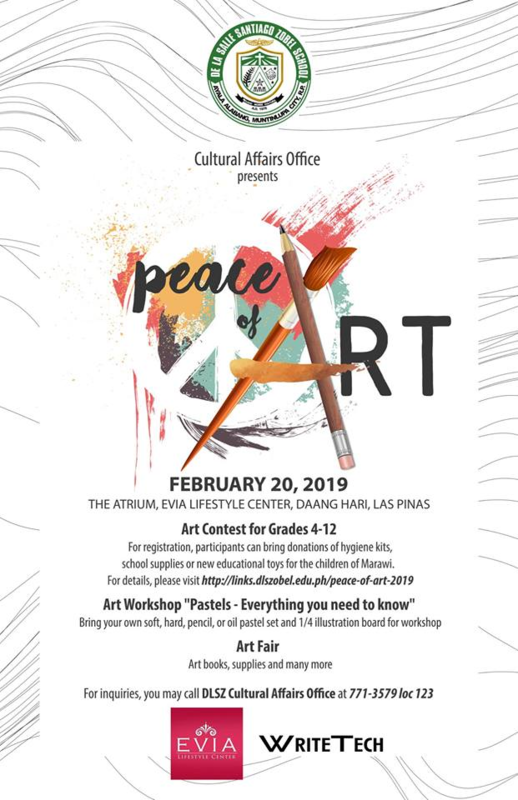 De La Salle Zobel thru the Cultural Affairs Office, will be holding its 5th PEACE OF ART contest and workshop on February 20, 2019 at The Atrium of Evia Lifestyle Center, Daang Hari Road, Las Piñas City. The event aims to promote art appreciation, peace and fellowship among the youth. Contest via artwork submission on the day and Pastels art workshop limited slots. 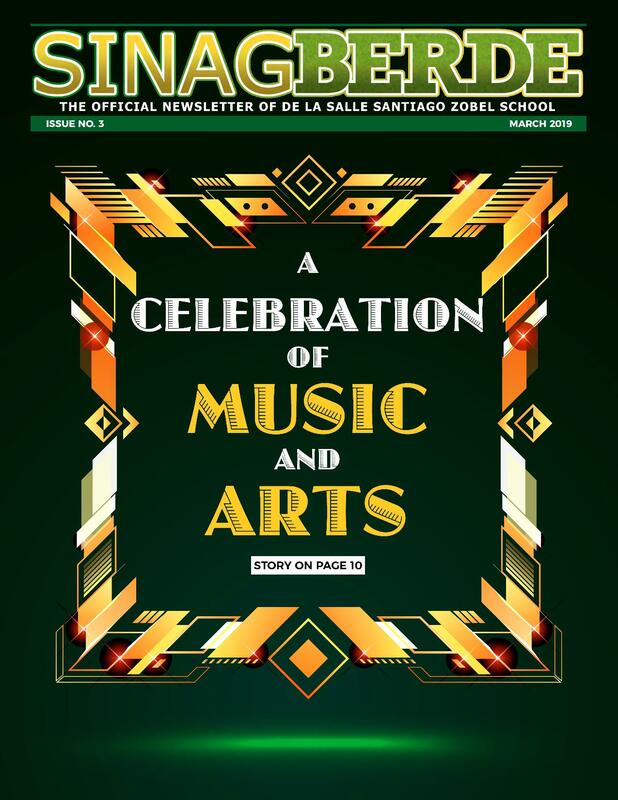 Register now by emailing felicianolv@dlszobel.edu.ph.